Hi. Just wanted to ask about this higher purchase set up. A few years ago I got a decent job or so I thought. As I was earning a bit I went and got a fridge and washing machine on higher purchase. Then at work we started having issues and we were not being paid on time sometimes even two months and we were renting so we landed up leaving and now we could not keep on living with the unsure salaries. On leaving I left the fridge and washing machine in my aunts care. I believed I would get back to work sooner than I did. Now naturally the store were calling for payment and after telling them my story I asked what my options were. Do I return everything or wait to start working again? Eventually I told them to get the things from my aunts house. I believed that was the end. I had given them their stuff back and they would resell to get their cash balance back. Years later again I felt a bit comfortable with life so I felt I should try again to buy some furniture and I find I owe P7,500 and I was blacklisted at ITC so I cannot do anything that requires me to pay off like furniture and loans. All because these guys led me to believe something that was not true. My boyfriend experienced the same thing so all in all we owe about P18,000 we owe yet we have nothing to show for it. So does this mean this is it I cannot do anything, take a loan, get something on credit or the like for the rest of my life? What a horrible start to 2017. I despise hire purchase. It’s a truly terrible way to buy things. Firstly, it’s enormously expensive, you pay at least twice the cash price for an item. Secondly, when things go wrong you’re completely screwed. The problem with hire purchase is that you don’t own the goods you think you’ve bought until you’ve made the last payment. Until that moment the goods still belong to the store. You’ve just been hiring them. That’s why it’s called “hire purchase”. It also means that if you fall behind with your instalments the store can come to your house and remove their property. They’ll then auction them for a fraction of their original cash value and deduct that amount from the balance you still owe them. That leaves you with no fridge or washing machine and still owing them almost the same amount of money as before the repossession. And get this. There’s absolutely nothing you can do about it. That’s because you signed an agreement accepting this. I don’t mean to be insensitive but did you even read the agreement you signed? If you had, you probably would have run screaming from the store. Unfortunately, the only thing you can really do is ask for a full statement of the debt and see if you can negotiate a repayment plan that you can afford and the store can accept. If they’ve handed the debt over to debt collectors I suggest you meet with them as soon as possible. You might be surprised how flexible they’ll be. What can I do about this juice? I bought some juice at one of the wholesalers in Gaborone and my toddler started having a running stomach, thats when I realized that the juice I feed her which I bought was expired, when I took it back the manager who was very rude. It says best before 15.12.2016 time 11:02, I bought it on the 20.12.16. Could you assist with which step to take. There’s a lot of confusion about the dates that are shown on the goods we buy. The most important date you’ll see is the “Expiry date”, sometimes shown as the “Use By” date. Any store that sells something after these dates is going to be in big trouble with the authorities because that’s illegal, contrary to the Labelling of Prepackaged Foods Regulations. No store wants to do that. However, what you saw was something different. The juice you bought showed a “Best Before” date. These dates are less strictly controlled because they’re just advisory, informing the customer when the goods will be in their best condition. There’s no suggestion that goods consumed after this date are necessarily harmful or dangerous. 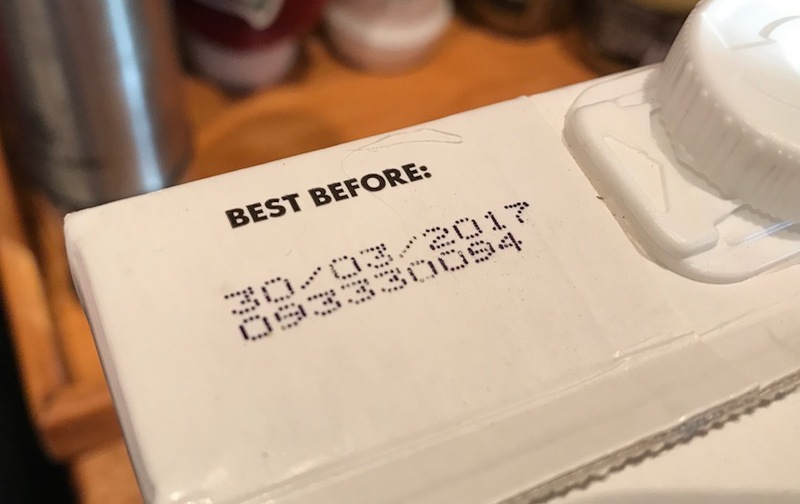 Although it’s certainly bad practice, it’s not actually illegal for a store to sell an item after the Best Before date. I think you also need to be practical. Is there any actual evidence that the juice you bought caused your child’s stomach upset? We’ve all had upset stomachs and it’s often very difficult to identify what it was we ate or drank that actually caused it. I hope you took the juice back to the store and showed it to the management? Even though it’s not illegal it’s certainly not something a responsible store would allow.